Place peeled and sliced apples in buttered 9×13 glass dish. Drizzle 2 tablespoons honey and sprinkle 1/2 teaspoon cinnamon over sliced apples. Mix all other ingredients. Spread mixture on top of apples. Bake at 400 degrees for 25 minutes. Enjoy! 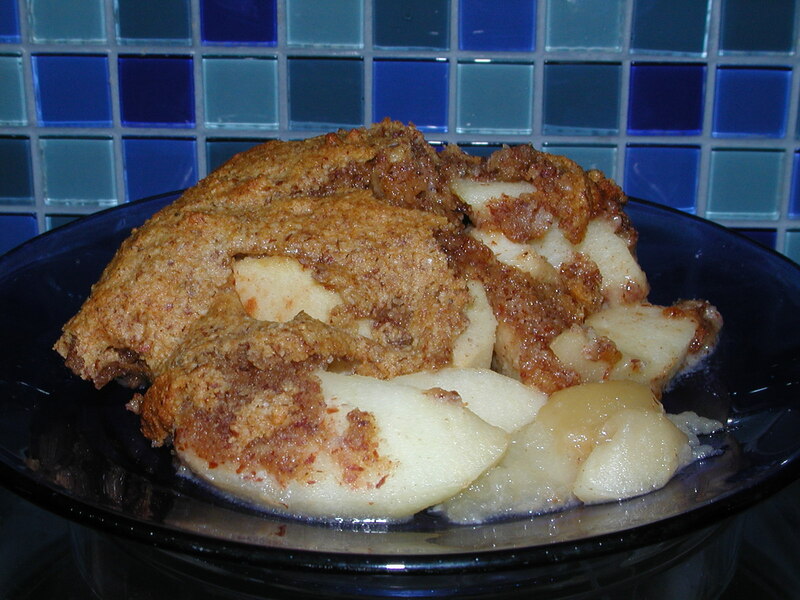 -Substitute peaches for apples to make peach cobbler.